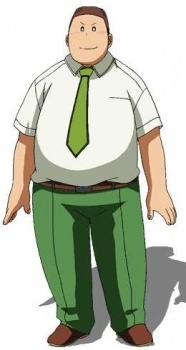 Naeka's overweight little brother, a fan of maids and eroge. He is good-natured, and has a normal sibling rivalry with Naeka. Kōsuke seems to get along best with his grandfather, and is very thankful for being bestowed with Fubuki. His otaku tendencies sometimes gets him into trouble with the others. When forced to diet, Kōsuke is shown to be very handsome.